Amid the recent news about rogue cops and scalawags in uniform, it’s a welcome relief that two cops in Bohol showed that the police force is still worth our trust. The two noble policemen found a stash of cash worth $1,248 dollars and honestly turned it over to their superior for safekeeping in case someone claims the lost cash. The PNP’s image and reputation have been taking a beating especially amid the recent arrests of rogue cops who are guilty of extortion and drugs. These scalawags in uniform continually taint the PNP’s reputation and people seem to lose their trust in men in uniform. On the facebook page of Boholano Ako Proud ako, they shared a photo of PO3 Dionisio Estacaan Jr. and PO2 Delfin Goloso, both assigned at Tagbilaran, Bohol, who are prime examples of true blue honest cops. 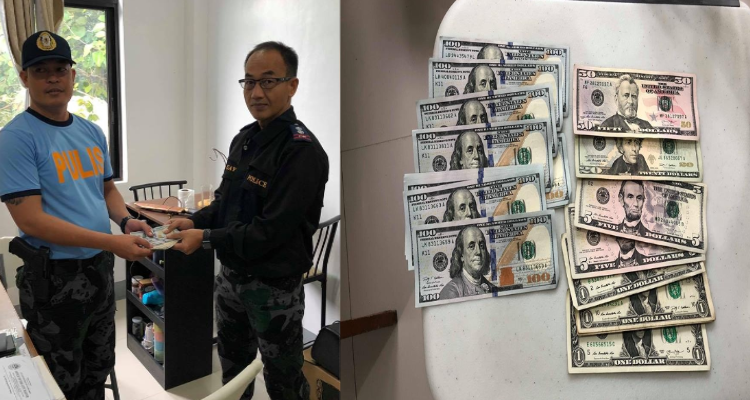 They are having their beat patrol when they chanced upon a stash of cash worth $1,248 dollars (P62,400 pesos) at Plaza Rizal CPG Ave., Tagbilaran City. They say that a person’s character is revealed by what he does when no one is looking. The two cops can easily keep the cash that they found for themselves. It will surely help them and their families. But their integrity prevailed. They decided to turn the cash over to their superior for safekeeping in case someone goes to the station and report that they lost some cash. The good deed that the two policemen displayed just proves that we can still trust our police force. Yes, there are still rogue cops out there, but they are the exception. Most of the members of the police force stand by their oath, that they will enforce the law, maintain peace and order, and ensure the safety of the public. They will continue to serve and protect, or die doing it. 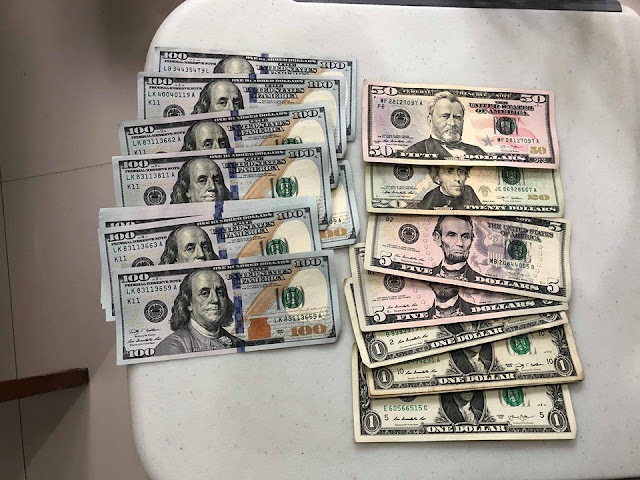 Please be informed that on November 19,2018 at about 6:45 pm personnel of this station in a person of PO3 Dionisio Estacaan Jr. and PO2 Delfin Goloso, while conducting beat patrol they found and recovered a cash worth of One Thousand Two Hundred Eighty Four ( 1,284) US Dollar at Plaza Rizal CPG Ave., Tagbilaran City. 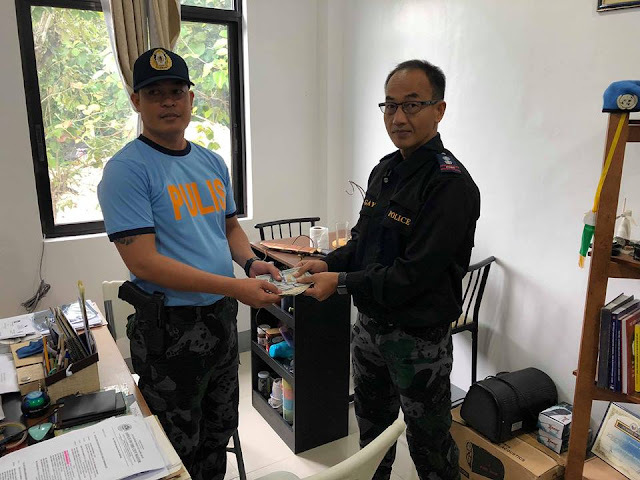 PO3 Estacaan properly turned-over and personally handed the recovered cash to our Chief of Police PSUPT PATRICIO C. DEGAY JR. while waiting for the possible owner to claim the said item found.